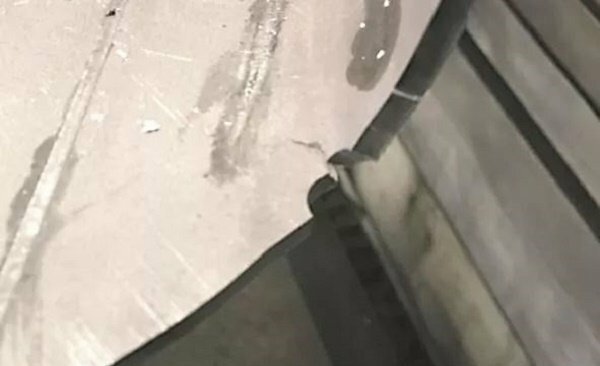 With the improvement of vehicle lightweight and collision safety, the application of high strength steel plate in the automobile industry is increasing gradually. At present, high strength plate bending parts are mainly applied to structural parts in automobile chassis. This bending method requires that the bending die and sheet materials are fully bonded and correspond to sheet metal parts one by one. Because of the high cost of mold development, it is suitable for sheet metal parts with complex structure. This method makes the bending die not need to correspond with sheet metal parts one by one. By adjusting the bending process and the stroke of the press brake machine, the flexible production of a bending mold can be realized to meet the needs of different bending parts. It’s suitable for sheet metal parts with simple structure due to the low cost of press brake mold development. When bending the plate with high strength on press brake by means of the free bending method, the production efficiency will be reduced due to various defects caused by factors like the material performance, equipment condition, bending process parameters etc. Therefore, it will cause economic losses. In this article, we will analyze the main defect types of high strength steel plate in the form of free bending and put forward corresponding improvement measures and countermeasures. When the inner bending radius R is small to a certain value, the lateral longitudinal material outside the sheet material may crack or microcrack at the radius of the bending part due to excessive deformation, as shown in figure 1. In the early stage of trial production of high strength steel bending parts, flexural cracking defects frequently occur, which not only caused the plate waste but also affected the normal progress of the project. The cracking factors of high strength steel bending parts mainly include the following aspects. The ultimate bending radius to prevent the outer fiber from cracking is called the minimum bending radius. The minimum bending radius is related to the mechanical properties of the material, the fiber direction of the plate, the surface quality of the plate, the side quality and the thickness of the plate. Generally, as the strength of the material increases, the plasticity will decrease, and the minimum bending radius of the material will be larger. In addition, cold rolling plate generally has anisotropy, the plastic index along the direction of the fiber is greater than that perpendicular to the direction of the fiber. Therefore, when the bending line is perpendicular to the direction of sheet fiber, the minimum bending radius is small. In order to avoid bending crack or micro-crack, the minimum bending radius of sheet material should be predicted in advance. For example, the bending radius of protective steel BP500 (yield strength is not less than 1250MPa) is not less than 4 times of material thickness, and the bending line must be perpendicular to the direction of sheet material fiber. To avoid bending cracking caused by too small bending radius, attention should be paid to the relationship between the bending radius and the minimum bending radius as well as the relationship between the bending line and sheet metal fiber direction at the digital-analog review stage. In the process of bending, the bending line should be positioned to ensure the precision of the bending parts. 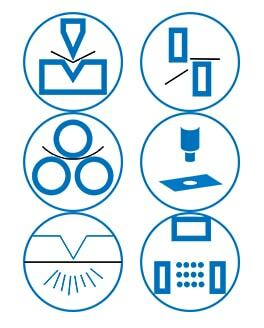 Traditional manual line positioning methods mainly include manual or laser marking positioning method, process notch positioning method and machine tool block positioning method. In the process of bending test for BP500 sheet materials, when the process notch positioning method is adopted, the bending parts crack at the positioning gap, as shown in figure 2. After the notching treatment, the original smooth shape of the material edge changes sharply and the stress is concentrated at the gaps. When the sheet material is bent, the stress value of the material at the gap will reach the strength limit first and crack will occur. It also indicates that the BP500 plate has high requirements for surface quality and side quality of materials when adopting bending process like the surface shall not have cracks, scratches or burrs or notches on the side. Therefore, the BP500 plate cannot be positioned for bending by process gap positioning method. It should be preferred to adopt the positioning method of sheet metal non-damaged machine tool block for bending. 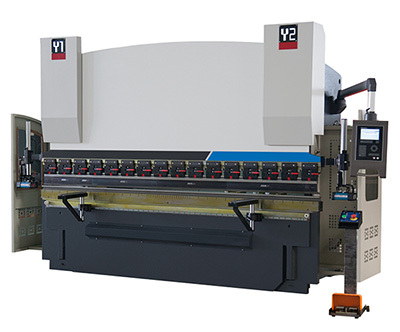 When the bending parts are taken out from the press brake toolings, the bending angle and bending radius are inconsistent with the toolings, which is called bending spring back. The size of the springback angle is proportional to the yield strength and hardening index of the material, and inversely proportional to the elastic modulus. The yield strength of BP500 protective steel is no less than 1250MPa, so its springback trend is much larger than that of ordinary steel plate. The BP500 plate bending springback improved mainly by mold compensation method because the reinforcement plate can’t be added to the bending position due to the limitation of bending parts shape. The following result in table 1 is obtained by experiment based on bending BP500 plate with a bending radius of 20mm and the bending center angle 90°,120°and 135°separately. It can be seen from the table that the greater the bending center angle, the greater the resilience. 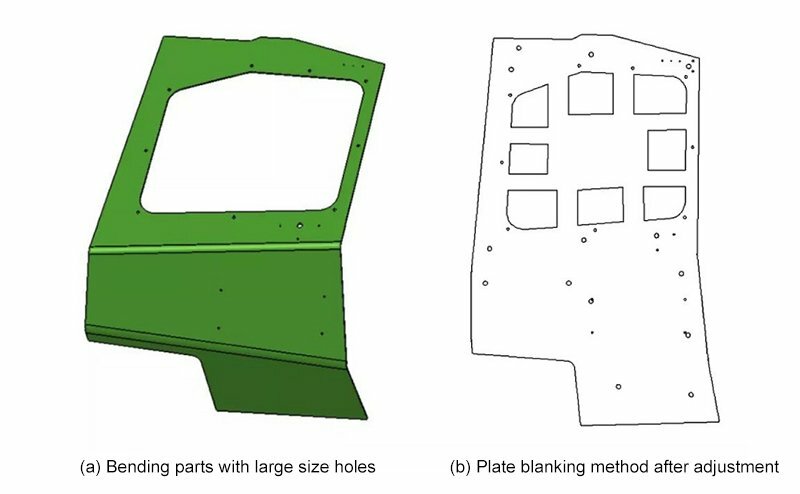 Due to modeling requirements, some bending parts have large holes near the bending line, as shown in FIG. 4 (a). After the completion of the hole blanking, the bending parts will be bent. The bending parts will be warped near the hole, which will affect the installation of other parts. Adjust the discharging method of the hole blanking. The large hole is partially punched out, and part of the connecting strip is retained, as shown in fig.4 (b). After the bending is completed, the rest of the hole is processed. This method can significantly improve the warping problem, improve the flatness of bending parts, and ensure the installation of parts. In the bending process of BP500 material, it is found that the bending angles of the left and right ends of parts with long bending lines are inconsistent. 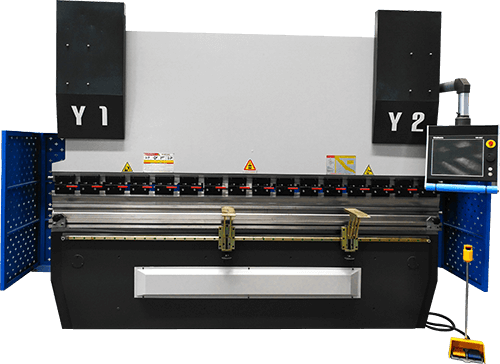 ⑴ When the ram of the press brake reaches the end position of bending, the parallelism between it and the table surface exceeds the tolerance. ⑵ The parallelism between the mounting surface of the upper die and the working bottom surface exceeds the tolerance. ⑶ The degree of parallelism between the V-shaped groove of the bending lower die and the installation bottom surface exceeds the tolerance. ⑷ The thickness of the folded plate is inconsistent at the left and right ends. If rotate the lower bending die for 180°, the angle difference between the left and right sides of the bending parts still exists and the value has been exchanged. Therefore, it is speculated that the contact position of the left and right ends is different when the bending punch and die is closed. The size of the circular arc on the working bottom of the bending punch is not consistent, which leads to the terrible parallelism between the installation undersurface and the working undersurface of the bending punch. Thus, the bending angle is inconsistent from left to right. By reprocessing the circular arc on the working undersurface of the bending punch, the flatness reaches 0.05mm/m, and the problem of inconsistent bending angles between the left and right ends of the bending parts is solved. In conclusion, when freely bending a high strength plate, it is necessary to obtain its minimum bending radius and springback trend through experiments. On this basis, the accuracy of the press brake, mold precision and plate thickness should be guaranteed. Then, optimize and adjust the free bending technique of press brake, such as the optimization of the positioning method. By means of the above method can effectively reduce the defect of high strength plate bending parts and improve the product qualification ratio.